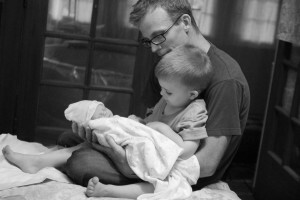 Beautiful Birth Choices invites you and your child(ren) to our sibling preparation class! Our fun and interactive class has been designed for children who are about to greet a new baby into their family and will soon be taking on the role of Big Brother or Big Sister. Parents are included in this class where we’ll talk about pregnancy, birth and new babies, presented at a young child’s learning level. Our curriculum is inspired by Penny Simkin’s sibling class and her wonderful “There’s a Baby” DVD. This class is appropriate for ages 2 and up. This one hour class is held at the Beautiful Birth Choices, LLC Yoga Studio and Learning Center, 681 Winton Road N, Rochester, NY 14609. $35 for 1-2 parents or caregivers and 1 child. $40 for 1-2 parents or caregivers and 2 children. *if you need to attend with more than 2 children, please contact us. We recommend attending this class within a month or so of your due date.